Organised for YOU by Otellia and Écoacteurs en Médoc, enjoy a 5-day active holiday to discover the Medoc and its surroundings! An expedition for nature enthusiasts to understand the biodiversity of Lacanau dunes and back dunes. An outing to a freshwater swamp forest on the outskirts of Lacanau City. A cross-country race in the Parc de Majolan, located in Blanquefort. Instument-making workshop using natural earth friendly materials. A fun and interactive sensory introduction to cheese tasting. A gentle stroll on the educational trail of La Vacherie, an urban farm, in Blanquefort. Wandering on an educational trail in the marsh land of Ludon and enjoy a biodiversity discovery of the environment. Discovery of the winemaking profession’s realities. An evening meal by the fire followed by a night walk in the Parc de Tanaïs of Blanquefort. Last Evening Dinner & Party! 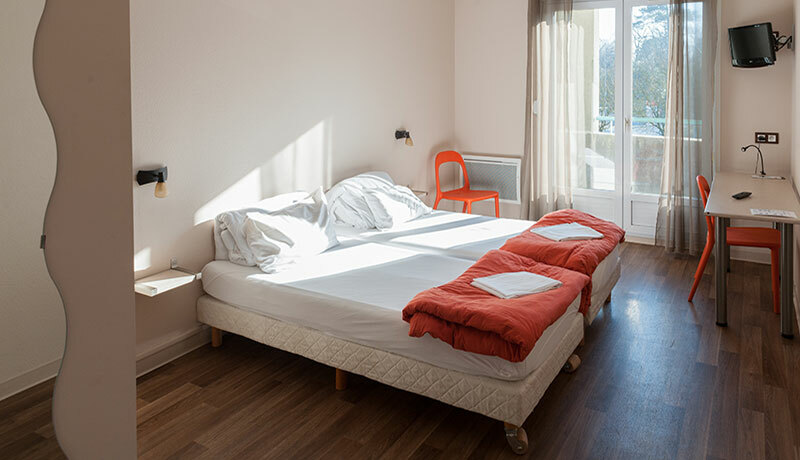 A full board holiday in dorm room, and double room for teachers (subject to availability). Breakfast buffet with a great variety of local, organic products. Lunches and dinners made with local and seasonal produces. Preservation of the environment by limiting the use of damaging maintenance products. Breakfast is 90 % organic and local. Promotion of social cohesion by welcoming all types of public. Waste repurposing by eliminating indivudual packaging. Soft urban mobility by tramways, buses and bikes. 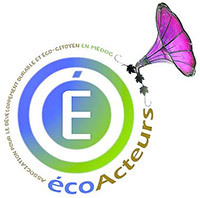 Écoacteurs in Médoc is an environmental education association approved by the Ministry of National Education and recognized by the Environmental Protection Agency. We organise your stays with regards to your expectations and for all public. We have obtained the EU Ecolabel in 2014. The acquisition of the Tourism & Handicap label is in process.